Reception: Thursday, September 6, 6 – 8 P.M.
After the beer is brewed, there is still much work to be done before it lands on the shelf and in a craft beer fan’s hands. Graphic designers work with brewers, illustrators and owners to choose a name, colors, fonts and graphics for all of your favorite Chandler brews. 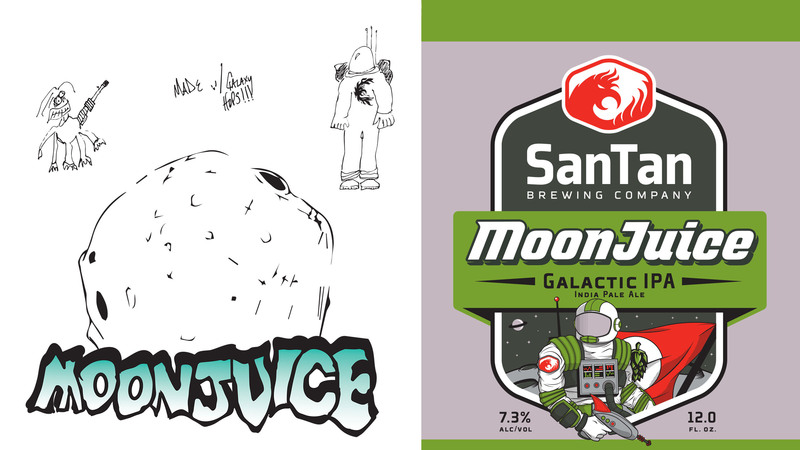 From MoonJuice IPA and HopShock IPA to Oktoberfest Lager and Mr. Pineapple, come and see the array of current and historical designs, as well as some in-process documents that didn’t make the final cut.